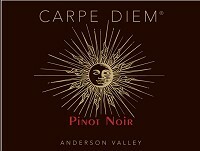 Carpe Diem Pinot Noir Scores 95 Points! The Carpe Diem Pinot Noir, Louis Roederer‘s outpost in the Alexander Valley, has recently come top in Decanter Magazine’s “40 under £40: best of California” tasting, scoring an outstanding 95 points! Ronan Sayburn MS called it “remarkable”, and described aromas of “red and black fruits coming through on the nose and lingering throughout the palate making this a well-balanced wine with great length”. Contact the Domaine Anderson Brand Manager, Marinel FitzSimons, to find out more about this high scoring wine.